On this page, you will find information on the visiting hours of the Dr. Horacio E. Oduber Hospital. The general visiting hours apply to most wards. Some wards have different visiting hours. We appreciate it very much if you visit as much as possible during the fixed visiting hours. Should these times not be convenient to you for some reason, please consult in advance the manager of the ward in question. 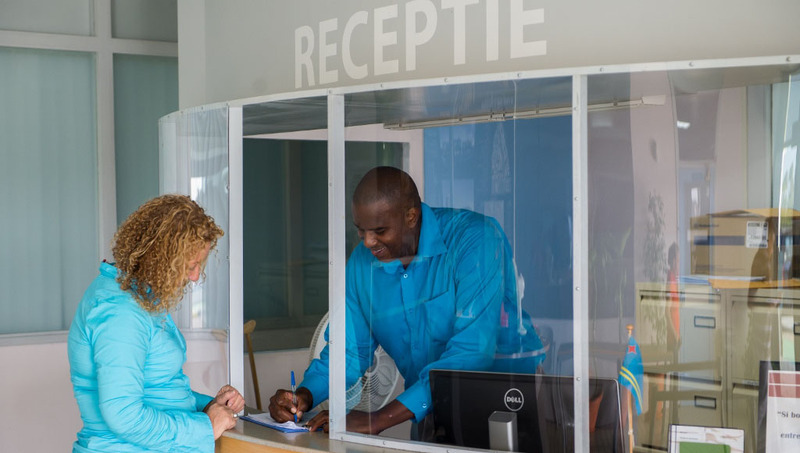 At the Information Desk, visitors can make inquiries about which room a patient is staying. 03:00 p.m. until 8:00 p.m. Patients need rest. Therefore we ask kindly for no more than two (2) visitors simultaneously per patient. If necessary, a nurse can call you to account regarding the number of visitors. It is not always possible to plan certain activities of the care process (such as examination, treatment, doctor-patient visits) outside visiting hours. It may occur that you as a patient cannot receive visitors during the allowed visiting hours. The partner or spouse is welcome from 9:00 a.m. until 8:00 p.m. General visiting hours are from 11:30 a.m. and 1:00 p.m. and from 5:00 p.m. until 8:00 p.m. During general visiting hours it is permitted to receive only two (2) visitors. Visitations are possible between 11:30 a.m. and 1:00 p.m. and from 7:00 p.m. until 8:00 p.m. If a patient is in critical condition, the visiting hours can be discussed with the senior staff member. Giving birth is a very special and intimate moment in one’s life. Therefore the patient is allowed to have two (2) visitors present. Ward visits are possible from 8:00 a.m. until 8:00 p.m. for parents or close relatives. Only one (1) parent is permitted to stay. Visiting hours for non parents or relatives are from 11:30 a.m. and 1:00 p.m. and from 5:00 p.m. until 8:00 p.m.